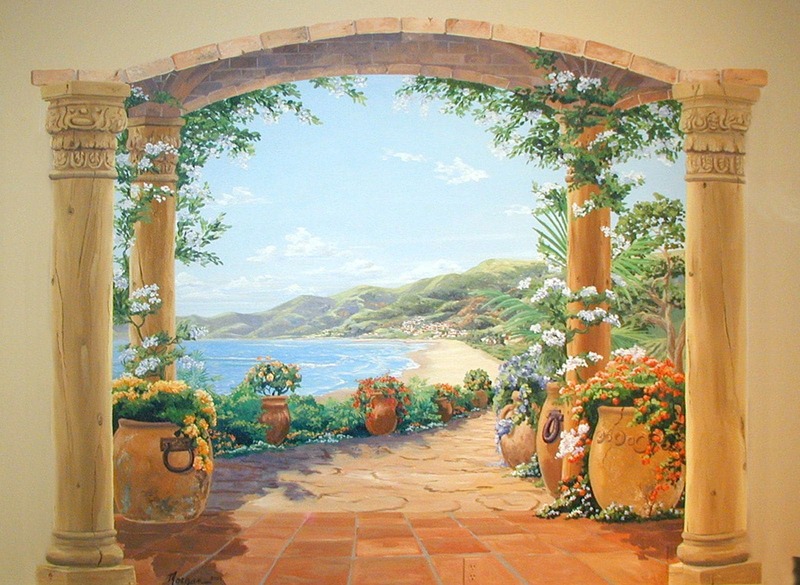 This mural was painted in a formal salon with a grand piano. The architecture of the house, located in Los Altos, CA, was based on Old California Spanish style homes. 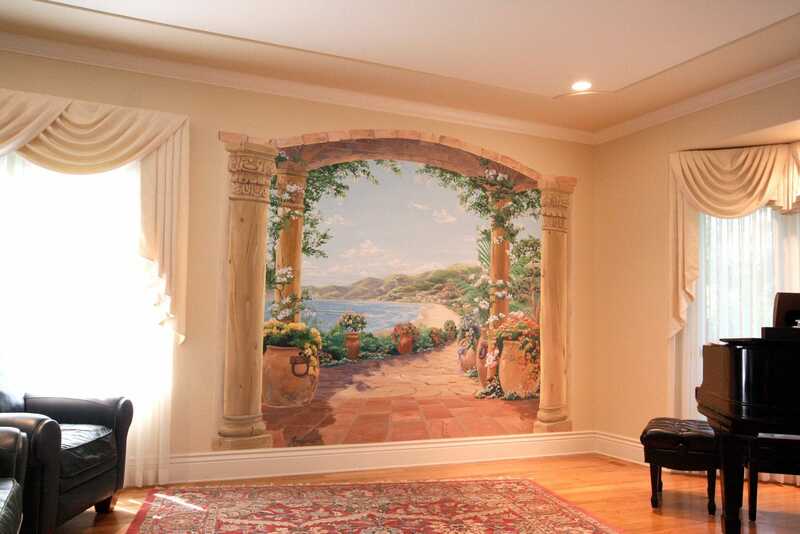 This mural echoes the special architectural elements found throughout the house.